Mildenhall Branch. Swaffham Prior Cambridgeshire. Bridge over the Cambridge to Mildenhall line. 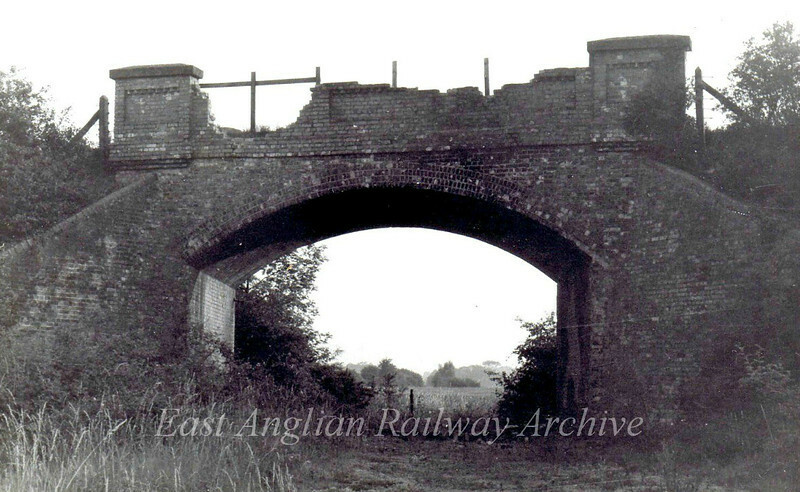 (Reach Road, Bridge Number 2240) The bridge carries the road from Swaffham Prior to Reach. It's not in a particularly good state of repair on 27th June 1976.